After a successful first season, the Rabobank-Giant Offroad Team paves the way for the coming season with the signing of new world class female riders, American Katie Compton (32) and New Zealand's Rosara Joseph (28). Compton signed a two-year deal, whilst Joseph has a one-year deal. These exciting new signings gives the team an immediate positive impact, and strengthens their standing in the new UCI Elite Mountain Bike Team rankings of 2011 which now combines male and female riders. Jan ten Tusscher, team manager of the Rabobank-Giant Offroad Team explains: "As of this year, for the rankings the team's top three men and top two women will count as a team. Katie is very motivated to succeed at the 2012 Olympic Games in London and will be targeting this year's Mountain Bike World Championships as a key stepping stone. The continued expansion and globalization of our team played a key role in attracting both Katie and Rosara to the Team. Rosara had her share of bad luck in the past years, but is back on track. We will give her all our support to develop herself." "Katie's at the top of her game, and we're proud that she has chosen the Rabobank-Giant Offroad Team and Giant bikes to help take her XC and 'Cross racing to an even higher level," said An Le, Giant's Global Marketing Director. Katie Compton has just finished an outstanding Cyclo-Cross season, with five World Cup victories in succession at Aigle, Koksijde, Kalmthout, Heusden-Zolder and Hoogerheide and an excellent Silver medal at the World Championships. "I am very excited to join the Rabobank-Giant Offroad Team over the next several years," stated Compton, "which I believe will be the best of my career. 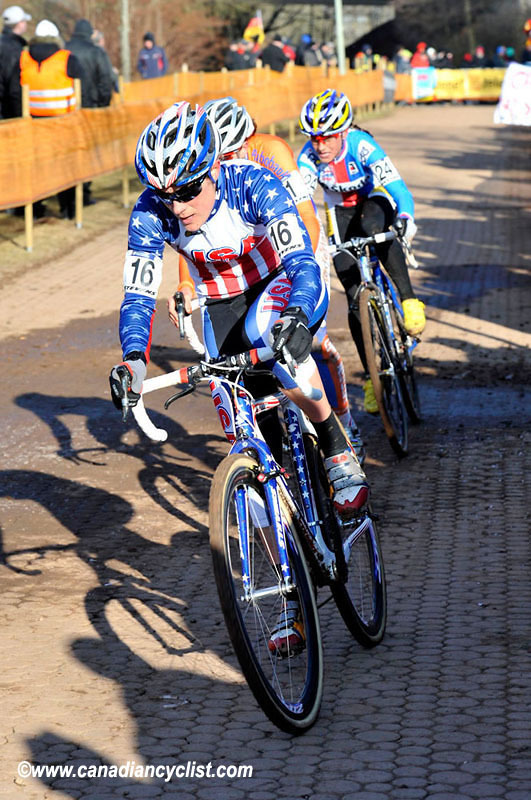 I have high goals and expectations for myself for both Cyclo-Cross and Mountainbike. I am happy to be a part of such a respected and well run team as I continue to pursue these goals."